When the Care Quality Commission (CQC) inspected Liverpool Women’s Hospital, they discovered the warnings they issued five months earlier had not been heeded. According to reports, the hospital is still failing to keep people safe. There simply aren’t enough staff to care for patients fully. What raised eyebrows was the way the hospital managing staff numbers day-to-day. Resource managers decide how many staff are needed based only on the number of occupied beds. The CQC said this was concerning. The hospital’s approach doesn’t take into account the amount of care required by each individual. The hospital agree this is a priority for development but pointed to systemic issues across the NHS. Thomson later admitted she’s not sure the hospital will still be open in ten years’ time. But she is quick to reassure patients that there is no threat to services today. And, they’ve hired 40 new staff on the back of CQC recommendations. 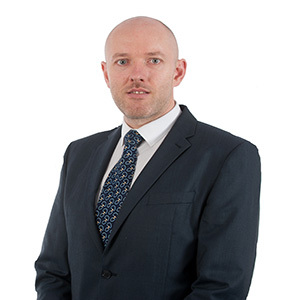 Andrew Taylor, partner at Birchall Blackburn Law and Clinical Negligence Specialist, said: “It’s a shame to see reports like this, when such specialist hospitals lack standards that effect patient safety. Many patients depend on Liverpool Women’s Hospital, and their services are crucial to other general hospitals locally. The hospital provides specialist maternity and midwifery services. The impact on any family that suffers a tragedy due to clinical negligence can be devastating, particularly where childbirth is concerned. Birth trauma can see a whole family spend a lifetime coping with the consequences. Our experienced and compassionate Clinical Negligence team understand the worry and pain that medical negligence can cause. You can contact us on 0800 614 722 or 0333 321 2192 from a mobile for helpful advice, or to discuss your experience.